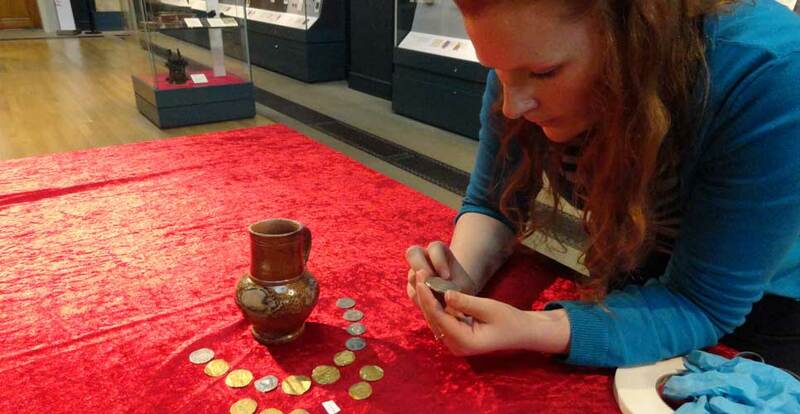 The Portable Antiquities Scheme is run by the British Museum and Amgueddfa Cymru - National Museum Wales to encourage the recording of archaeological objects found by members of the public in England and Wales. Every year many thousands of archaeological objects are discovered, many of these by metal detector users, but also by people whilst out walking, gardening or going about their daily work. Finds recorded with the Scheme help advance knowledge of the history and archaeology of England and Wales. This new application, developed with funding from CreativeWorks London and built by Tracemedia has just been launched. New finds are uncovered and reported daily. It is easy to get involved with the Scheme and report your discoveries. Our images on Flickr are liberally licensed. You might find something that you can use or learn more about our mission. We’re celebrating 20 years since the commencement of the Treasure Act. Visit here to see what’s on show at your local museum! The Staffordshire Hoard symposium papers have been published for all to access and edited by Helen Geake. The hoard's records are being added slowly to the database. Learn about Bronze Age objects, their form and function. This guide was written by Ben Roberts, Alessia Murgia, Emma Traherne and David Parker. The Day of Archaeology project, documents what 1000s of archaeologists do as a career. Find out more. Get involved with the Scheme as part of the PASt Explorers project. The Scheme's database provides the basis of hundreds of research projects and has enabled the Scheme to gain funding for several large grants - Leverhulme and AHRC funding for instance.